Living in Utah has many advantages including the best snow on Earth and many beautiful national and state parks in which the opportunity for outdoor adventure is almost unlimited. Utah also ranks high in a number of health and happiness related outcomes. In spite of all that Utah has to offer, Utah continually ranks in the top ten states for high suicide rates in the U.S. People in Utah also experience higher rates of associated mood disorders. 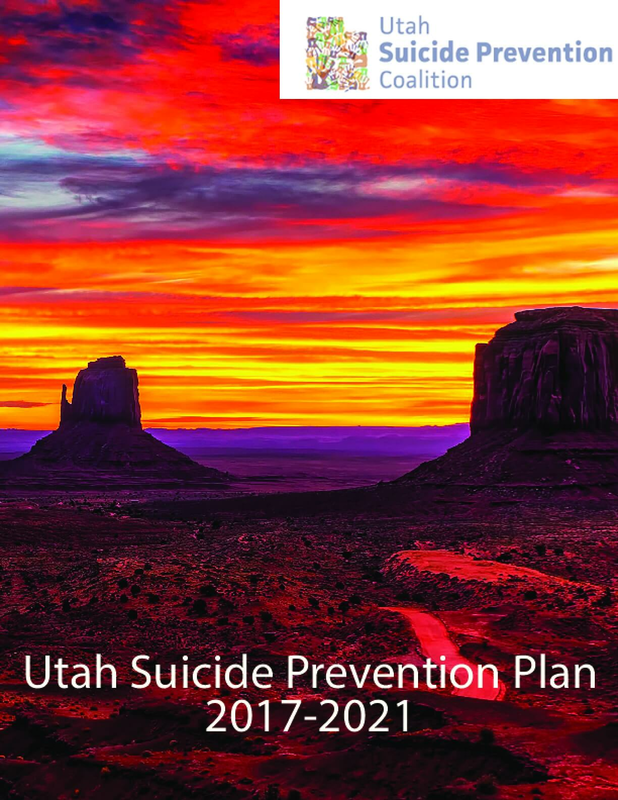 The Utah Suicide Prevention Coalition is dedicated to better understanding this paradox and implementing prevention, intervention and postvention strategies to decrease suicide and the associated suffering it brings. Suicide is a major preventable public health problem in Utah and the 8th leading cause of death (2010-2015 inclusive). Every suicide death causes a ripple effect of immeasurable pain to individuals, families, and communities throughout the state. From 2009 to 2015, Utah's age-adjusted suicide rate was 19.9 per 100,000 persons. This is an average of 525 suicide deaths per year. Suicide was the second-leading cause of death for Utahns ages 10 to 39 years old in 2013 and the number one cause of death for youth ages 10-17. Many more people attempt suicide than die by suicide. The most recent data show that 6,039 Utahns were seen in emergency departments (2014) and 2,314 Utahns were hospitalized for self-inflicted injuries including suicide attempts (UDOH Indicator-based Information System for Public Health, 2014). One in fifteen Utah adults report having had serious thoughts of suicide in the past year (SAMHSA National Survey on Drug Use and Health, 2008-2009). According to the Student Health and Risk Prevention Survey, 14.4 % of youth grades 6-12 report seriously considering suicide, 6.7% of Utah youth grades 6-12 students attempted suicide one or more times and 13.9% of students report harming themselves without the intention of dying in the prior year. While suicide is a leading cause of death and many people report thoughts of suicide, the topic is still largely met with silence and shame. It is critical for all of us to challenge this silence using both research and personal stories of recovery. Everyone plays a role in suicide prevention and it is up to each one of us to help create communities in which people are able to feel safe and supported in disclosing suicide risk, including mental illness and substance use problems. We need to break down the barriers that keep people from accessing care and support for prevention, early intervention and crisis services. As you review this plan, we encourage you to identify how you can implement any of the strategies and help create suicide safer communities.